The Health Benefits of Vitamin C: Why Is It Good for You? 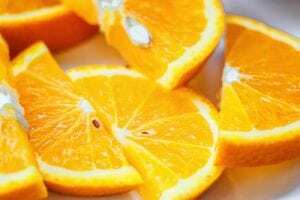 Home / The Health Benefits of Vitamin C: Why Is It Good for You? 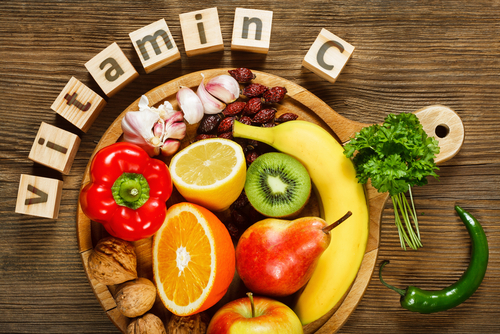 Vitamin C is a nutrient which is best known for its ability as a strong antioxidant that neutralizes free radicals, as well as being essential to the maintenance of our connective tissues. This vitamin is one which the body needs in large quantities to full its daily needs, needs which many of us aren’t coming close to meeting. The body does not produce this vitamin on its own as is the case with some of the other vitamins the body needs, meaning that we need to maintain a proper diet to do so. We are routinely told to eat foods such as kiwis, yellow bell peppers, oranges, strawberries, pineapples and other foods high in vitamin C, but what specifically does it effect? One of the main attributes to vitamin C is that it is an antioxidant, which is able to neutralize free radicals. What this means exactly is that these antioxidants have chemical structures which allow them to react with other compounds which are harmful, to create less harmful compounds in the body. Free radicals are formed within the body all the time, as they comes as the result of a whole host of chemical reactions in the body. These free radicals are highly reactive, and when they accumulate in the body they can lead to serious health problems such as cancer. Vitamin C and other antioxidants help to protect the body against this damage. Vitamin C is essential to the health of our skin, as it is needed to produce a structural protein called collagen. Collagen is the material which gives our skin its natural shape, and when this collagen breaks down it first give rise to wrinkles and other minor skin problems. If a vitamin C deficiency persists, it can result in issues such as the breakdown of blood vessels, tendons and ligaments caused by the further breakdown of this structural protein. This is why pirates always tried to keep lemons or limes handy as it helped prevent the loss of their teeth during long voyages. Gout is a painful condition which afflicts many people, one which is caused by the buildup of uric acid within our joints. As this uric acid accumulates, it begins for form crystals around the joint in question. This makes movement of the joint extremely painful, and if the problem is left unchecked can do irreparable damage to the joint. In extreme cases a finger or a toe may even need to be amputated due to the extensive damage. Studies have shown that individuals who supplement their diet with additional vitamin C saw a dramatic decrease in the levels of uric acid in their blood stream. A study which looked at the long-term effects of the disease over the course of a 40 year period was published back in 2009 in the Archives of Internal Medicine showed that there is a link between increased vitamin C consumption and a decreased risk of gout. Vitamin C is also known for its ability to increase the rate at which our wounds heal. This has shown to be useful not in just everyday practice, but also as a supplement to cancer treatments. 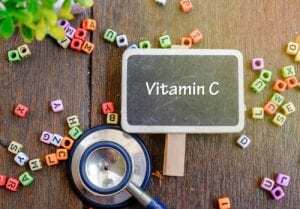 High doses of vitamin C have shown the ability to selectively target cells that need vitamin C, which can be effective in helping to reduce collateral damage done to healthy tissues during chemotherapy. This potent antioxidant is now being used alongside cancer treatments to help reduce the amount of time the patient needs for recovery. Studies have shown that individuals who have higher concentrations of vitamin C in their blood also tend to be at a lower risk of developing a stroke. This is not only believed to be caused by its antioxidant capabilities, but also that many of these foods high in vitamin C are high in other nutrients which are beneficial to our cardiovascular health as well. Eating more fruits and vegetables certainly isn’t going to hurt your health, and can greatly improve the health of your heart. Consuming more vitamin C isn’t going to help you run faster or jump higher, but is can greatly improve your stamina and may help you lift more weight as well. This is because vitamin C helps you body to better absorb certain minerals such as iron. If you weren’t already aware, iron is an essential component which makes up our red blood cells. Without enough iron we can’t make an adequate amount of these red blood cells, which can lead to a condition called anemia. Consuming more vitamin C means better iron absorption, an increased production of red blood cells, and in turn a greater ability to deliver oxygen to tissues where it is needed. Vitamin C can also help to reduce blood pressure here as well, as well as the ability to suppress histamine production. Histamines can lead to inflammation of tissues, which means restricted blood flow in the case of our blood vessels. Foods are the best sources for not just vitamin C, but all of our vitamins. With that being said, unfortunately the vast majority of us don’t get all the nutrition we need from our diet, making supplementation essential. The amount you need is going to vary dependant on a few factors such as your age, your gender, and your size. The bigger you are the more vitamin C your body needs, and if you’re feeling under the weather you are going to need to increase your intake of this vitamin as well. For your average adult, this means that you should be consuming somewhere between 60-100mg of vitamin C a day. It is also important to keep in mind that many of our foods are fortified with vitamin C as well, such as many cereals. Take these foods into consideration as well when calculating the amount of vitamin C you’re taking daily.